SRINAGAR: The NRSS 29 transmission project awarded by the union government in 2014 was commissioned two months ahead of the schedule. The Northern Region Strengthening Scheme 29 (NRSS 29) which is 414 kms long will ensure reliable access to power for the Valley. Sterlite Power has built an 880 km cKM (circuit KM) transmission line passing through Pir Panjal range by using helicranes to overcome the challenges of high altitude snow and inaccessible terrains. The company was able to commission the project in four years time, and the 400 Kilovolt (KV) transmission line will provide an alternate power exchange route between Northern Grid and the State. J&K requires 2500 MW of power to provide uninterrupted electricity supply and this line allows the state to evacuate the additional power from the Northern Grid. Sterlite Power is a leading global developer of power transmission infrastructure with projects of over 12,500 circuit kms and 20,500 MVA in India and Brazil. With an industry-leading portfolio of power conductors, EHV cables and OPGW, Sterlite Power also offers solutions for upgrading, updating and strengthening existing networks. The Company has set new benchmarks in the industry by use of cutting-edge technologies and innovative financing. 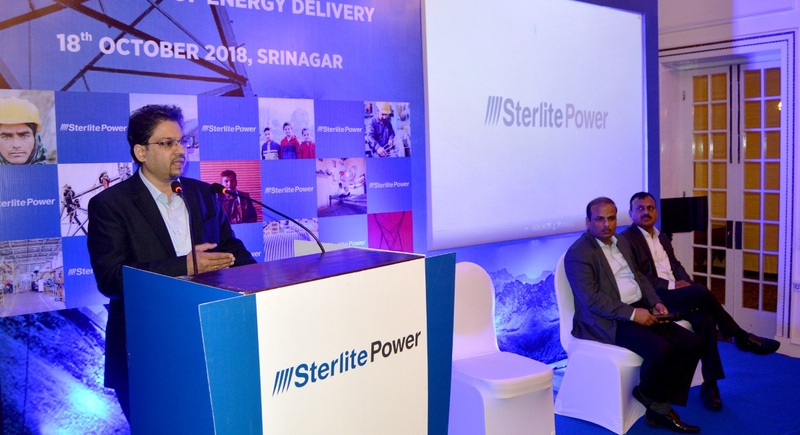 Sterlite Power is also the sponsor of IndiGrid, India’s first power sector Infrastructure Investment Trust (“InvIT”), listed on the BSE and NSE.